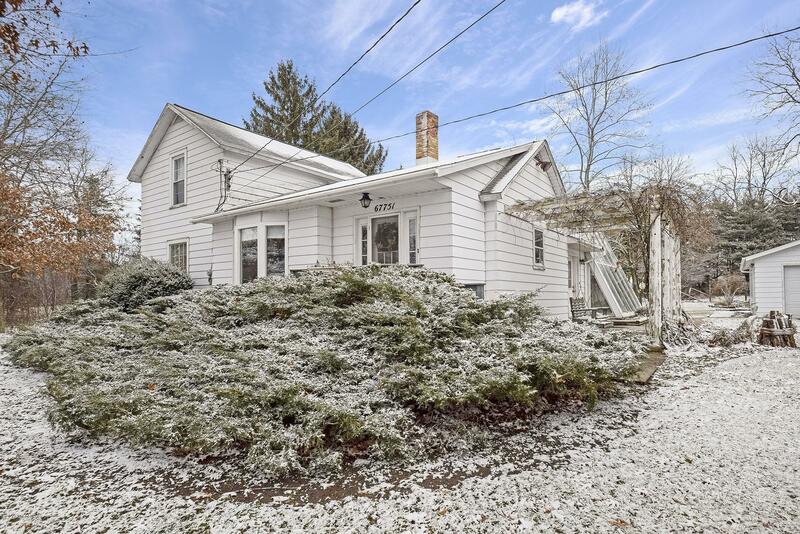 Situated on a secluded 2.5 acre lot and located in award winning AND Division 4 high school football CHAMPION Edwardsburg School district, this traditional 1.5 story house is looking for a new owner. Built in 1910 and featuring 3 bedrooms, including main level master bedroom with private 1/2 bath, 2 upper level bedrooms, main level living & dining rooms, sitting room, kitchen, laundry room, and full bath. Full basement with family room, mechanical room, area for storage. Presently utilizes geothermal heating/cooling, a boiler is also hooked up but not used. A 2 car detached garage, gazebo, small shed, and 2 story barn complete the offering. For peace of mind, seller is offering a 1 year home warranty provided by America's Preferred Home Warranty, Inc.